I see progress every time I log on to the Alzheimer's Website. Please keep up the good works so many people are counting on you! down. I highly recommend it to everyone. I am in an assisted living community with my wife of 67 years this June. I'm getting a little less able to remember some details and it takes me a little longer to gather my thoughts to properly discuss an issue. My wife is a little more inclined to forget little things and needs reminders as to the day it is etc. We both are in good health she's carried a pacemaker for the past 3 years or so to treat an irregular heartbeat. Her BMI is excellent and the only serious problem is COPD which tires her quite often. I am within my BMI and heart and lung are in excellent shape according to my last physical. we are cognizant of the growth of this (these) maladys and we agree we'll deal with those issues as we move on. My brother is in serious stage of dementia and in talking to him I could barely discern what he was saying and I had to tell him who was calling. I am intending to see him shortly as he lives in the central US. That visit will give me a better understanding of the issues he is facing and from my limited knowledge of the disease, I can only be there for him and will understand if he doesn't remember me very well or our past. We haven't seen each other for 5 years now and I am looking forward to it. I have seen cases here where a single visit to a hospital of a resident here is my last remembrance of them and I sincerely want to avoid that with my brother, God willing. Good post Cindy – Ignorance has a broad range doesn't it? I am very young 48 and have cognitive impairment but not an Alzheimer's diagnosis…yet. I get this type of reaction all the time too. Sometimes I get more confused and have difficulty with speech (when my medication runs out) and people say to me – "you seem fine to me." I just want to tell them – well you don't see me under stress or after my medication wears off…or how my IQ has gone from 130 to in the 80s. You don't see me struggle at speech therapy to do simple math problems or clock reading skills. I really wish I was "just fine." Great post…wish everyone could read it…but at least health care workers should. I am now 44, been seen by numerous neurologists, out patient at Duke University for a couple years, was officially diagnosed a couple years ago – and still, many emergency room admissions with the same response – you don't look like you have Alzheimer's, you are way too young to have it, and that was said to me and my family by the "top" neuro team there – well I guess the other 4 in N.C. didnt count as reputable – yes, its been a horrible experience, frustration, stress, hopelessness and depressed years – thankfully I have a wonderful family, my support system, but I agree with your last sentence – health care workers of all degrees need to be more aware, not look at us like we are stupid, lying, or ridiculous sounding .. obviously with the type of meds, the history, my symptoms you would think would be enough, unfortunately it never is. Still stumble, meet those who dont believe, they second guess because I have good days, so I dont look or sound like anything is wrong. I wish those good days were everyday.. but I understand completely what you are going through. Awareness, research and more media attention to early onset needs to be put out there much more than it is. Hope you have found a good neurologist like I have recently who understands and the support yourself and family needs. I have had almost exactly the same experience. About a year ago I was hospitalized for my third "cardio-vascular incident". While I was going through the admission procedure, I gave the intern a brief summary of my (extensive) medical history while they were searching the computer for my medical records. When I finished by saying "and I have been diagnosed with early stage Alzheimer's Disease." He started laughing. He was obviously completely unfamiliar with Alzheimer's Disease. I can only conjecture that either his medical education was remiss, or the hospital made a mistake when they hired him. My primary care physician is well aware of my condition and (even though, I go elsewhere for my Alzheimer's treatment), I'm pretty sure that it's noted on my medical history. I know that the next day, the staff was aware of my condition. You know Allen there are so many who joke around saying "I think I am getting Alzheimer's." What they don't understand is that this disease is no joke. It's a terrible debilitating condition. Without ones memory, we are left foundering: Who are we? What are we? Where do we belong? And does anyone care about us? This is reminiscent of the days when people used the word "retard". However, every one is susceptible to Alzheimer's and as we all know the numbers are increasing at an alarming rate. I lost my aunt in the 1980's then my Mom in 1999 followed by my cousin and my sister in 2011. It's imperative that the schools begin sensitizing and teaching about this now. Especially since nobody is immune from this disease yet. Thank you for your excellent article about how people respond to us when we tell them we have Alzheimer’s Disease. I live in Marin County and I often get the same reaction when I tell people that do not know me well. Fortunately, friends and family are very supportive. I attend the Alzheimer’s Support Group in San Rafael and find it extremely supportive. Joni-Alzheimer's is a form of dementia. My great aunt passed last Saturday from complications stemming from AD. Her sister has recently started displaying signs of AD and will be entering a local nursing home. My sister and I were just yesterday discussing how it can be difficult to determine whether or not someone has AD simply from looks alone. As health care professionals and having been around the nursing home setting for our entire lives (3rd generation nursing home employees), we have developed relationships with many AD residents and sincerely hope that organizations like this one can one day find a breakthrough on AD treatment. Kudos to you for speaking up and telling folks you have AD. My husband is 57 and was diagnosed with AD at 50. He certainly didn't look like he had AD either. He was so socially adept that he could talk to people for quite a while without them having any knowledge of his illness, and he was NOT going to tell anyone about it. Unfortunately, he couldn't get by at work with just great social habits. When my daughter and I first placed my husband in a nursing home, most visitors thought he was an employee. He would walk up to people, extend his hand and introduce himself. Sadly he has declined drastically in the last several months. He rarely speaks and cannot walk without assistance, but his smile still radiates when he sees his loved ones. Thank God for that! Keep on advocating! I think those of us either with alzheimers or their caregivers have a responsibility to tell others when appropriate. The disease will effect most people in one form or another now or in the future. We were celebrating my husbands 85th birthday recently along with our children and grandchildren. The restaurant was lovely and the service was great. I realized my husband couldn't hear the lively conversation well in the somewhat noisy restaurant. I observed he was sliding into his own quiet world where he often goes…..singing and talking giberish quietly. The waiter was looking curious. When we got up to leave, I thanked him and told him with a smile….."This is what alzheimers looks like". He said "really? " and smiled back. You know Allen there are so many who joke around saying "I think I am getting Alzheimer's." What they don't understand is that this disease is no joke. It's a terrible debilitating condition. Without ones memory who are we? However, on the bright side, it also shows that people are becoming more aware of Alzheimer's; but until they become more educated, let them joke. My wife and I decided 4 years ago after my diagnoses, that we will be forward about telling people. It has worked well so far. I did decide to leave a position with a foundation because I felt I was forgetting to many things, like calling people back. My dad had it when he passed away, so we are familiar with the process. The thing is, that it is a different process for everyone. When I submitted my resignation, people spoke with us after and were grateful that we were being open about it. I have had quite a few, including close friends that, did not believe that I did have it. But I think most are in tune now. I feel that is a process that you have to go through. Even had a nurse from an Alzheimer home insist that I did not have it because she deals with it everyday and knows what it is. Well, we are now living in an apartment that is connected to a care facility. I have been doing well so far, but have slipped a bit. I do not do math or my checkbook, and I used to be good at math. The up part for me is that I can still drive and talk too darn much. But I try to get involved as much as I can. Just got all our tax papers done by a CPA and realized that I should not mess with the paperwork again. We swore that we would not worry and be happy. Well that is working pretty well. Better than sulking or hiding. And it is fun! I,too, have had the same statements said to me. Of course, then I explain what my diagnosis is. I'm a retired Speech-Language Pathologist and, therefore, have some additional information – at one point in my career, I was the person who administered the tests and made the diagnosis. So far, my own case is fairly mild and I work very hard to keep active ( both for my brain and for keeping up my physical strength. It is frustrating to hear that comment. Then I remember that I'm leaving a fairly productive life and try to think positively. Keep up the good fights!!!! As I type this on my new iPad Air, I agree with you 100% I have decided not to share this information unless necessary. Furthermore, I don't tell acquaintances as I notice their shock as they slowly begin to pull away from me, as though I have a contagious disease. In that regard I feel the less said the better. However, it's truly shocking than the medical community are so clueless about this disease. A disease that Is beginning to increase as we, the baby boomer generation begin to age. More info and education must begin in order to dispel the fear and rejection from people and this needs to begin in the school system. This is not a contagious disease. Thank you all, for such an incredible wealth of information, and your individual level of experience I have a close friend who I recently found out,(while attending a gunetal of a an extended family member ,whose daughter went to school w/ this friend who has been exhibiting AD symptoms, ,& was diagnosed 6 years ago and has not been getting any formal treatment, or adequate services. She lives alone in an apt, wanders the streets gets lost & disoriented.. The rest is history…she’s 70 years old..
My husband was diagnosed 2 years ago with dementia, probably Alzheimer's, and he does look different in subtle ways. He cannot write anything as coherent as this article – I am impressed with how well written it is. His conversation also gets confused with much searching for words and losing his thought. I tell some people, but not in front of him because he doesn't really accept that he has a problem. I've often wondered if I should insist that we talk about it openly, at least between the two of us. Thanks for sharing your story. My husband has dementia and I went through a simliar experience when he was in the hospital for a hip replacement. I've seen Alzheimer's in 3 generations of my family and have become very aware of some of the different ways it manifests itself from person to person. What I find somewhat frustrating is how some caregivers I've encountered leave those affected by this strange disease to sit and disappear further into the disease by grouping them at tables where they all just sit around staring at TV, into the air, or each other. They generally entertain doing things that don't often take into account the abilities of the individuals. I also notice that this happens more often if there is no visibility and interaction of the person's family, guardian, and/or friends. It may be important for some patients that family and friends show up at regular times to provide some continuity, but I also suggest that family and friends also periodically visit at different times to see that the affected person is well cared for at all times. And make sure you introduce yourself and speak to staff members and administrators. They need to know that folks care and are concerned about this person and their well-being. So glad to hear these comments. Sometimes I get so close to feeling crazy. I have had many years with problems of memories due to head traumas in my early years. Had to keep fighting for tests on checking my memory issues. Went to one Neurologist who said take all these tests and we will discuss them. I took all the tests, went to appt. to discuss them, her only words were, I Can't help you,. I am not a very confrontational person, but I expressed my concern as what does she mean, she wouldn't explain anything. Trying to understand my records of the tests that say Alzheimer's on them, I couldn't really tell with the medical Jargon If I had AD or not. Went to a few Alzheimer's groups and so forth. Got another pet scan, that said Alzheimer's on it and the Nero-psychologist tried telling me I don't have Alzheimer's for which her report mentioned having Alzheimer's in it. Which I am very frustrated by now, which I was working with a psychiatrist at the same time that ordered another pet scan and that one said early Alzheimer's on it and he said I have Alzheimer's. Then a couple appt. 's after that, that same psychiatrist said I don't have Alzheimer's after talking to a fellow colleague about me. After thinking about what he said and being confused with this, I tried to clarify in the next appt. and the psychiatrist says again that I do have Alzheimer's. At 50 now and still try to be social and do mental things as much as I can and physical activities. Having type one Diabetes also, sometimes I will have periods of serious lows until my pump is adjusted and need to be careful on too much physical activity and even mental as I get headaches(Lots) from trying to remember words and hold information from whom ever I am talking to listening too. I did start in the beginning being told I am depressed and went many years going through therapists trying to figure out what was wrong. Pushing on I went to school for 6 different careers, figuring out after getting jobs that I just couldn't remember what I needed to to sustain them. Never got fired thank God. Kept having accidents/injuries due to sports, diabetes and slow thinking. I have to say I am still going strong for which the Doctors say I am a very healthy Type 1 Diabetic for having this for over 30 years. 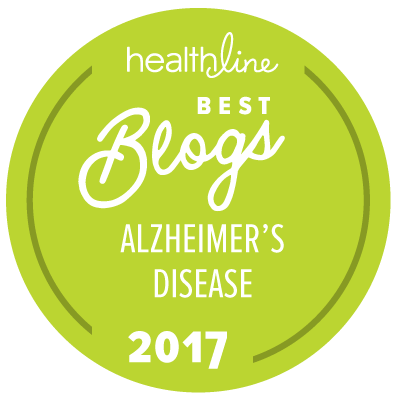 I do relate with same individuals in the blogs in that others not believing such persons could have Alzheimer's as I live in a retirement community and receive comments like that. Even with health professionals and in groups for individuals caring for significant others, but have no knowledge of early Alzheimer's. Hard to find any support or groups for early Alzheimer's. Feel like I am Trudging ,strongly. I don't want to say comforting, but having found some information that I can relate to. Thank you and Well Wishes for everyone. Read "On Pluto: Inside the Mind of Alzheimer's, by Greg O'Brien. I have EAD. Diagnosed at 49 and I'm 50 now. Everyone says the same thing to me. I considered carrying around my PET scans but there are digitized and not actual films. So I smile and thank them and say I'm using a new anti Alzheimers cream! I know it's not very nice but it cracks me up every time I say it! I believe my husband has Alzheimer's. In the past few months, he has gradually displayed very unusual actions. My problem is I do not know how to approach him about my concerns. I do not know his doctor, he changed doctor's recently. Is there someone that I might talk to on how to discuss this with him? Thank you so much for being so brave and candid about your AD, Cynthia! I am a 56-year old single mother of a 15-year old boy and just went to a neurologist today because I have become aware that my memory is becoming a problem. It scares me for my son's sake. I shared my concern with the doctor and she said, "Alzheimer's! You do Not have Alzheimer's. I can tell by just looking at you. I have just seen some patients now that have it…You do not." Well, apparently after reading your article, I need a second opinion! I thought I was doing the right thing by going in for early diagnosis…but I guess I didn't think it would be shrugged off so easily by a specialist; plus, I Wanted to believe her off-the-cuff diagnosis! Thank you for sharing your story and advocating for AD. I am amazed by the ignorance of some of those in the medical profession. God Bless You, Cynthia! I am 52 years old and was diagnosed with Alzheimer's a year ago. Most of my family and friends, say "The drs don't know what they are talking about." I have had brain scans, seen neurologist, professionals, taking test after test, which I fell one after the other. After all the test and seven Dr.'s later, the diagnosis is Early Onset Alzheimer. Namenda 28 mg is helping but I have had a set back. People laugh at me, ask me if I am a blonde, and it truly breaks my heart that I am losing myself. I need time to think. I can see words but can't say them. I can feel something but can't describe it. And it hurts. But everyone wants to tell me how I feel. No one has stopped and said, "How do you feel with this?" It's hard. Thank you for your story. I don't tell anyone I have this disease unless they say I have CRS "Can't remember S…" disease. Not so funny to me or ask me if I am a blonde. I have watched my mother suffer with this, she is in the sever stages in a nursing home. I take it very serious. What do I do? For those of you with early onset Alzheimer's (as I am one of them also..) Do you know about DIAN (Dominantly Inherited Alzheimer's Netwok). out of Washington University in St. Louis, with sites around the world? They are doing ground breaking research, trialing investigational drugs. If not… please contact them, as they are enrolling new subjects in new drug trials. We also have a wonderful support group among us all. Can you give me more information? My dad was recently diagnosed..one week ago. I am newly diagnosed with Alzheimer's at age 65. My mom had it at that age. I knew exactly what was happening and got to a neurologist. Am on Alzheimer's meds and managing fairly well with a supportive husband. I would suggest that if we have it, we should talk about it. The stigma exists because we try to cover up and hide everything. I plan to ask for help from everyone in these early stages. I may have Alzheimer's, but I have a life to live as well!